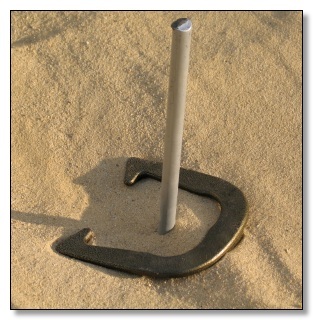 The Horseshoe League was started in the early nineties. The starting members built the pits and created the general horseshoe area. The League season starts the last week of April and ends the beginning of September. The League meets during the season on Tuesdays at 6:30PM. It also holds a “125 Bonanza” every March as a fundraiser. Additionally, the League also holds a “Big 8” tournament in June. All money raised by the League is used for donations to charities, improvements to the facility, and for the League’s end of the year banquet. The fee to be a full-time member is one hundred dollars a year, and this includes all the beverages, and eighteen weeks of pitching horseshoes. When the weather is acceptable, we have hamburgers, and hot dogs. Also included is the end of year banquet. The banquet is for each member and one guest, and all food and drinks are included.